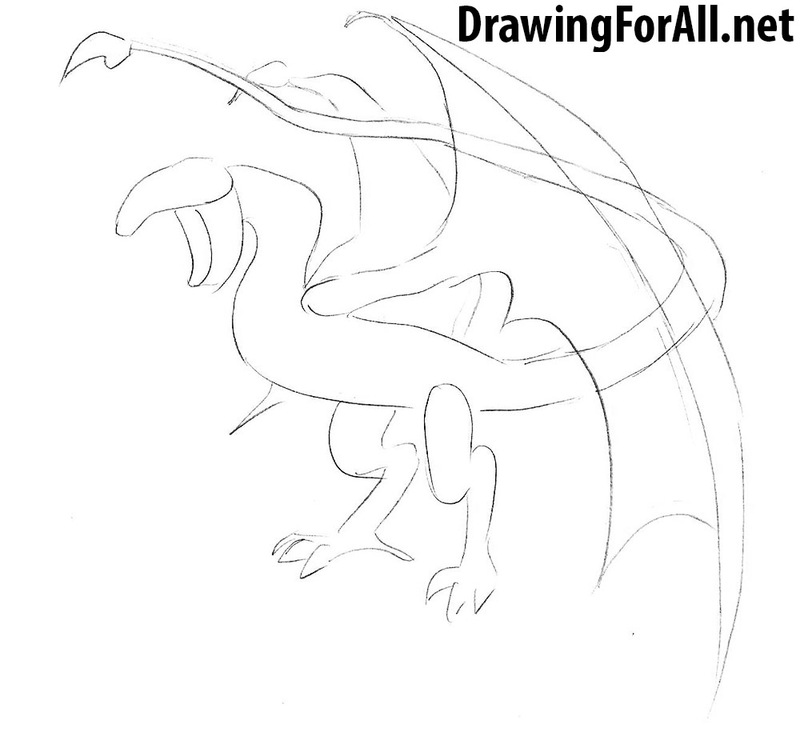 Hello dear artists and welcome to the lesson on how to draw a wyvern! Wyvern on pictures can easily be confused with a dragon, but in fact it pretty different creatures. 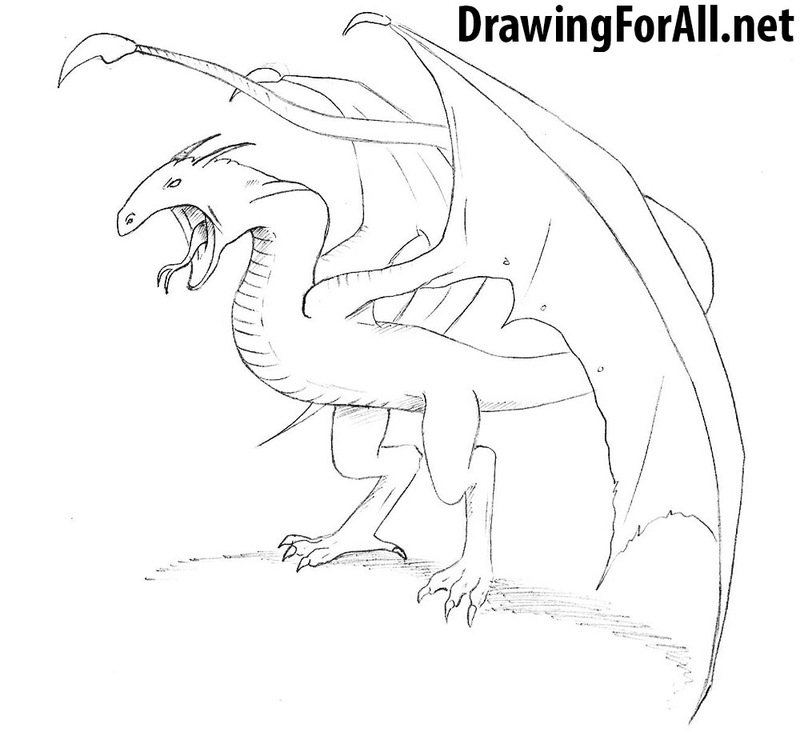 The main external difference is that the dragon has two pairs of paws and a pair of wings, while the wyvern has one pair of paws and a pair of wings combined with the front pair of paws. 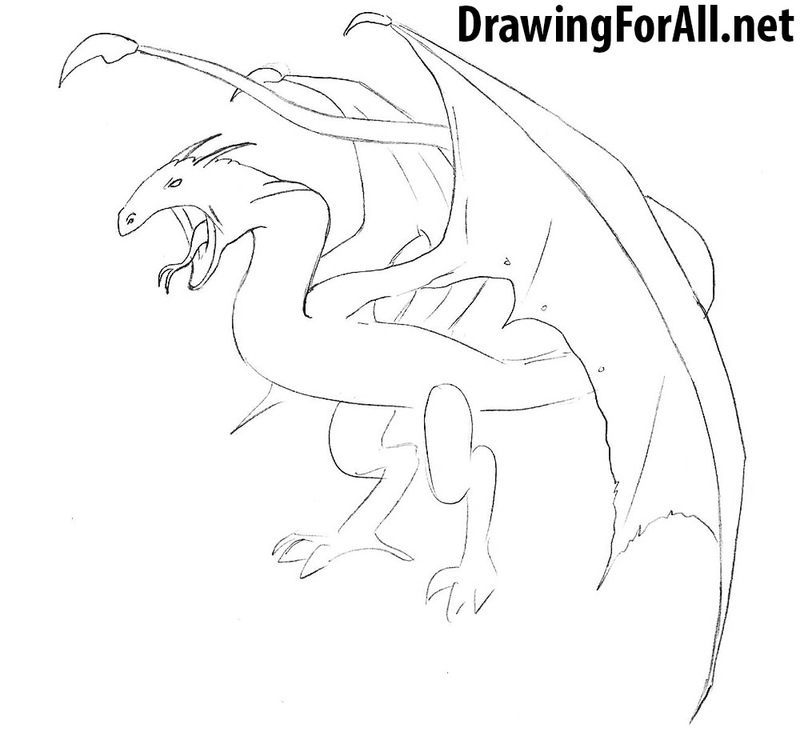 Let’s start with the head of our wyvern. 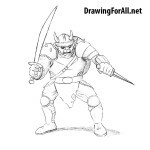 Draw out the outlines of his skull, consisting of the top of the head and jaw. Sketch out its torso which smoothly passes into the very long tail with a sting at the very end. With common lines indicate the wyvern wings. Note that wyvern should have a fairly long neck. 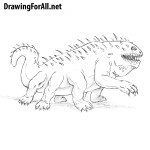 In this step we draw legs with sharp claws that resemble the feet of a dinosaur or a large bird. Detail the head of the wyvern. 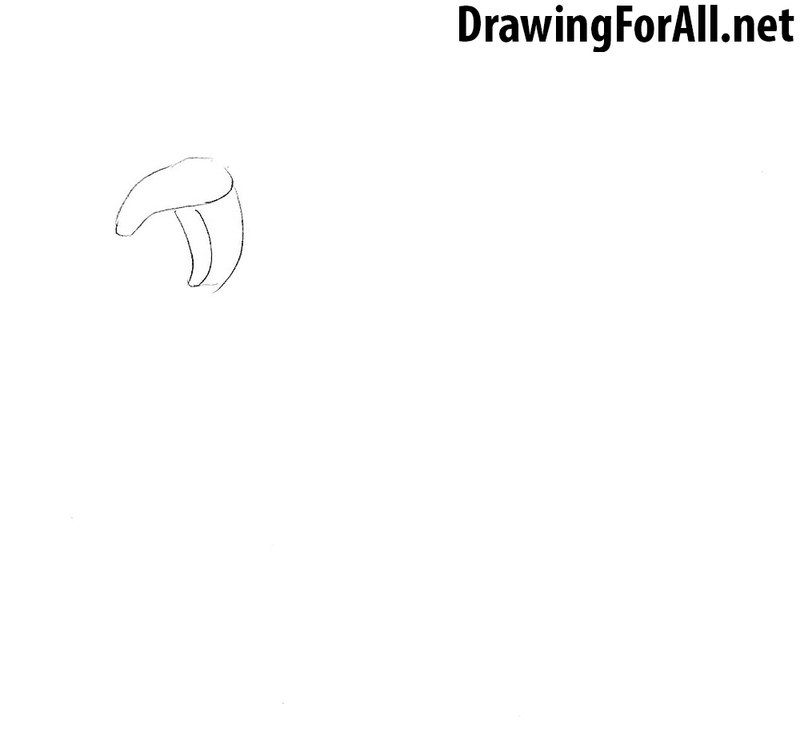 Draw a big mouth with a snake tongue, small eyes, horns and nostrils. As you can see the head of the wyvern is very similar to the dragon’s head. 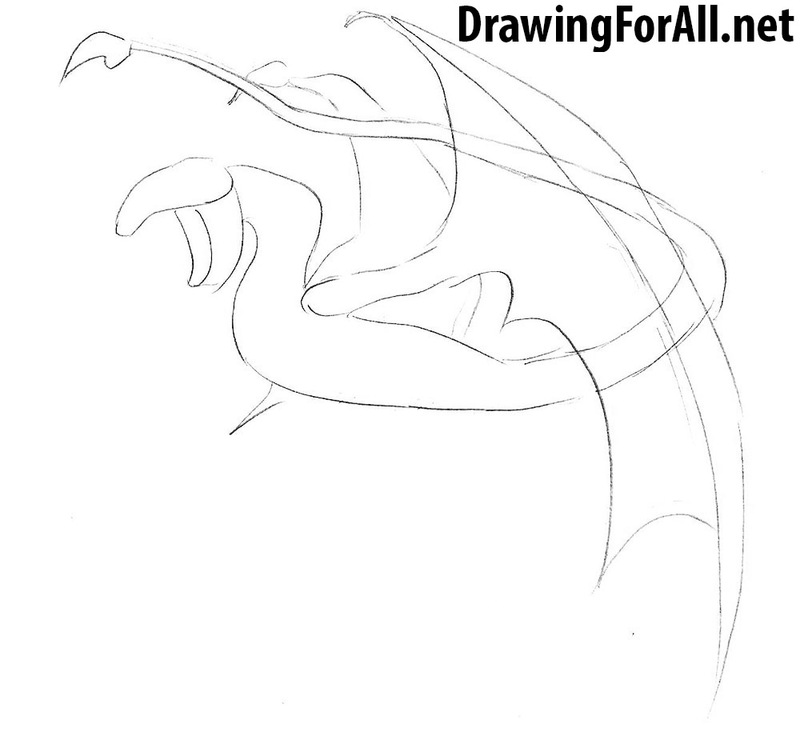 Draw out huge wings with claws on top and tendons going from top to bottom. 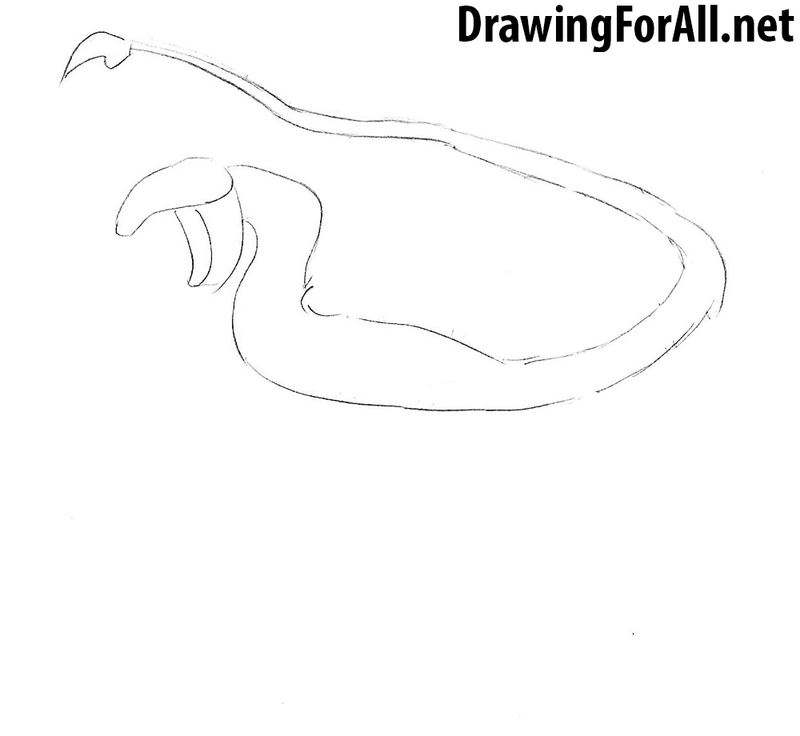 Draw the legs and the long tail of the wyvern. 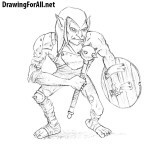 Accurately draw the claws on the paws and erase all the extra lines from the drawing. 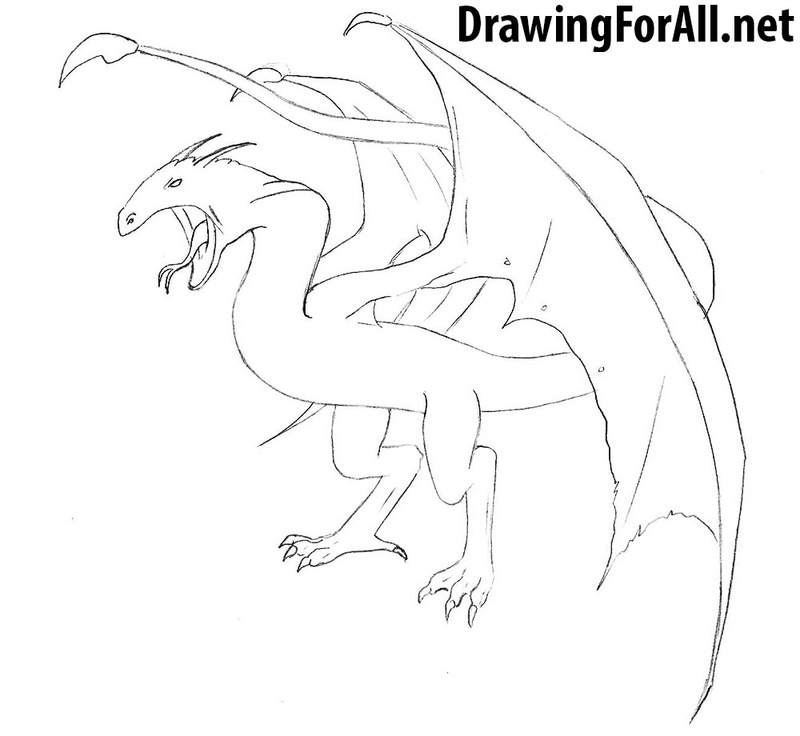 Add a few details such as strips on the chest of the wyvern that smoothly pass to the tail. 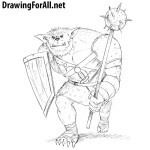 In the same step we add shadows by simple hatching. In this drawing lesson we showed you how to draw a wyvern. In addition to a small external difference, the wyverns have a few more differences from the dragons. Firstly, they do not have a fiery breath, rare wyverns possess poison. Secondly, unlike dragons they do not have the gift of speech. In the third, the wyverns have no desire to accumulate treasures – these crazy and wild predators pursue only one motive – murder for the sake of murder.